OK, so this post has absolutely nothing to do with anything literacy related. Franki is trying to teach me, technogoddness that I'm not, how to put a youtube video onto my blog. #26 is my oldest son. He's also doing the background rap. And then here is Son #2, the Quarterback! WARNING: This is probably another one of those everyone else has already read and blogged about this, so why is she just doing it now posts! I am a dog lover to the nth degree. I wake up every morning with Jack and Star, my two black lab mixes, squished tight against me. I cover the couch, so the dogs can look out the window while I'm gone. 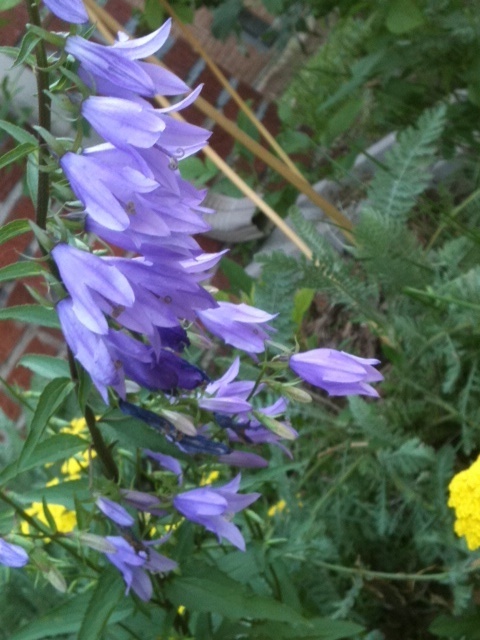 When we moved in last summer, the backyard was beautiful. And now, well, let's just say now it's not (I'm open to ideas about how to have two big dogs and a backyard too, if anyone has any). Interestingly, I don't always like animal stories. I especially don't like stories where the animals talk or act like people. 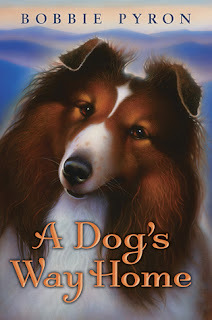 Last week at the library, however, I picked up A DOG'S WAY HOME by Bobby Pyron. And I loved it. Abby Whistler is a twelve-year-old girl, living with her mother, musician father, her grandmother, and her best friend, a sheltie named Tam, in the Blue Ridge mountains of North Carolina. Tam is an award-winning agility dog, and on the way back from a contest, four hundred miles away from home, the family is in a car accident. Abby and her mother are both hurt, and Tam's crate is thrown from the back of the truck, down the side of a mountain, and into a river. By the time Tam makes his way back to the spot of the accident, several days later, his girl is gone, and Tam is faced with a long journey home. I had a lump in my throat from the beginning of this book to the end. The book is told in alternating chapters, one told from Abby's point of view, and the next from Tam's. Abby negotiates middle school and a mid-year move, all the while missing her dog and dreaming about him almost every night. Tam faces life in the wild- hunger, predators, bad weather, and animal traps- trying to get home to his girl. A couple of weeks ago on Twitter, a new friend (@mimireads) told Patrick Allen and I that we should check out THE SCHOOL OF ESSENTIAL INGREDIENTS by Erica Bauermeister. I did, and loved it (see post here) , so on Friday night, I online went looking for other books Bauermeister had written. Bauermeister's newest book, JOY FOR BEGINNERS, was just released a couple of weeks ago. Knowing that my boys had a football-a-thon (ok, really a 7 on 7 tournament, that lasts for twelve hours, which is divided approximately equally between watching football, fetching water and gatorade for grumpy, overheated children and just sitting around waiting for games to happen), I downloaded JOY FOR BEGINNERS onto my Kindle and threw that into my bag. I spent more time being water girl and less time waiting, so I didn't get much read during the tournament, but I read a good chunk yesterday, then finished JOY FOR BEGINNERS this morning. The main character in JOY FOR BEGINNERS is Kate, a woman who has been through a mastectomy and subsequent treatment for breast cancer. In the opening chapter of JOY, Kate and six of her closest friends, women who have cared for her during treatment, are having a victory party, celebrating Kate's return to health. Shortly before the party, Kate's college-aged daughter, Robin, has asked her to consider a river rafting trip down the Grand Canyon and hung the pamphlet on the bulletin board in the kitchen. Kate's friends encourage her to go on the trip. Kate agrees that she will, but only if each of her friends will take on a challenge during the next year. The biggest twist is that Kate will decide what each challenge will be. Bauermeister has come to be a new favorite author. She goes into a "category" with Elizabeth Berg and Anna Quindlen. Those authors write simple clean stories that I can read at football practices or waiting rooms. Even though the stories are relatively straightforward, there are lots of big truths, great lines that I write down or mark to share with friends. I loved this story about women and friendship and taking on challenges. I want my book club to read it. I want us to think about challenges we might set for each other. Maybe even set a few…And like Quindlen and Berg, Bauermeister is a terrific writer, a master of specificity and sensory details, someone I revisit again and again as I attempt to become a better writer. I can get a new book within a couple of minutes (this might also be a dangerous feature, given my propensity for buying books instead of food or clothing). I love that once I'm done with a book, it doesn't take up a lot of space in my life. I still have it on my Kindle, and I can go back to it any time I like, but I don't have to try to find room for it on my overflowing bookshelves. That ebooks, even new books, are much less expensive than "regular" books (and yeah, I'm aware that I don't have the right language). I can't pass on books I love, like JOY FOR BEGINNERS, to my friends. Last night, for example, I was telling my friend, Kathleen, how much I was enjoying Erica Bauermeister's books. She said she needed something new to read. Ordinarily, I would just pass the book on to her, but because it was on my Kindle, I couldn't. I don't like that, at all. I'm also not sure I will buy many children's books on the Kindle, because if I like them, I want to be able to put them into kids' hands. That's not a possibility with the Kindle, unless I give them my Kindle to use. I'm am thinking, though, about what place the Kindle might have in the lives of kids who struggle with reading. Would it make reading easier for those kids if they could adjust the type size or face, number of words on a line, or the orientation of the page? If so, why would we not give them that option? I'm also trying to decide whether buying ereaders for my sons might encourage them to read more than they are reading now (not at all). And then I'm still trying to figure out the "gadgetry"of the Kindle. I haven't figured out, for example, whether I can get the stuff I highlight from my Kindle to my laptop. And I haven't taken time yet to learn how to get stuff from my Netgalley account onto my Kindle, even though I am pretty sure I can do that. OK, enough Joy (and Kindle) for beginners. Gotta go do some real life stuff, like laundry and housework! I'm off to do the mom thing today. 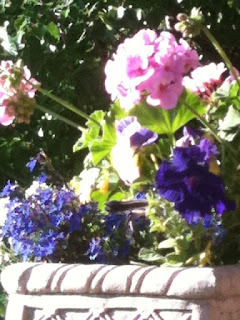 You know, one of those days when you get up super early, spend an hour organizing the cooler, packing lunches, etc., then wake up two sleepy, grumpy teenagers, fuss at them to help you lift the cooler into the car, drive ninety minutes, then sit for seven or eight or ten hours in the hot sun while they do something they love. Then, to top it off, someone will ask tonight why you are tired because you didn't do anything all day (and please don't send me any parenting suggestions-- I know there are lots of people that do it better and have teenagers who are much more pleasant and respectful). Anyway, before I start the day's festivities, read a terrific book yesterday. 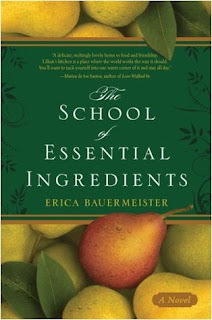 I heard about THE SCHOOL OF ESSENTIAL INGREDIENTS, by Erica Bauermeister, on Twitter, from Mimi (@mimreads), who is a friend of Patrick's (@coloreader). I couldn't put it down. to host Poetry Friday for the next six months. Then Susan Taylor Brown chronicles her new eating journey at Susan Writes. And, Carlie's watermelon poem is so delicious I feel like I need to head to the kitchen to cut the melon sitting on my counter right now. At Year of Reading, MaryLee reminds us of the wonderment of fireflies and gratitude. Heidi Mordhorst brings us Edward Lear's, "The Jumblies," which she swears is perfect for a beach vacation! At Florian Cafe, Doug Florian shares an e.e. cummings poem that I thought might be funny, until I got to the last stanza. Wow, wow, wow! Also loved knowing that cummings filled twenty pages in his journal before he finished this poem! At The Drift Record, Julie Larios gives us five riddle poems, everything from the Aztecs to Emily Dickinson. I'm hoping a book of "riddle poems" is in the works, because I know kids would love it. At Kurious Kitty Diane brings us "Bye and Bye" by Charles McGrath, another poet I am pretty sure I should know, but don't. And for those of you that collect quotes about poetry, like I do, Diane has one of Wright's quotes at Kurious K's Kwotes. And yet another new to me poet, Sophie Hannah, from Tabatha Yeatts. Think the poetry thing must be genetic in Sara Lewis Holmes' family. 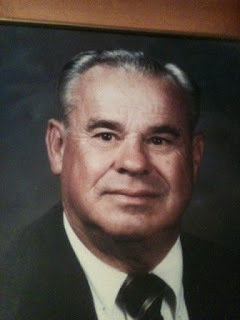 This week, Sara's daughter has written a beautiful Father's Day tribute to her fighter pilot dad atReadWriteBelieve. 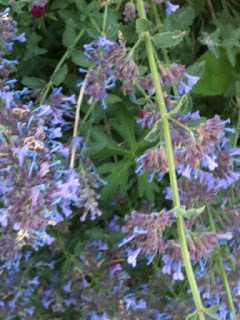 Another lump in the throat poem from Amy at Poem Farm. "Stay Close," is such perfect advice for the times when someone we love is going through something hard and we don't know what to do for them. Amy's poem was included in a collection of poems and essays that Patty Digh gathered when her daughter Emma graduated from high school. I have got to have this book! Diane Mayr has a really interesting project on her newest blog, Kids of the Homefront Army. She's written a series of poems narrated by kids during World War II. I definitely want to read some more of these. And while we are on a biographical bent, at Bald Ego, Charles Ghigna has been doing a fascinating series of poems connected to famous artists. Today's is about a piece by El Greco. And since we have a social studies poem, it's also fortunate that we have one that's science related. Laurie Purdie Salas gives us a lighthearted look at the periodic table. Dori's family was visited by a turtle this week, which reminded her of a poem, "Tortoise or Hare," she wrote a couple of years ago. Elaine Magliaro brings us Grizzly Bear, a poem which she actually cut from a manuscript about backyard animals. 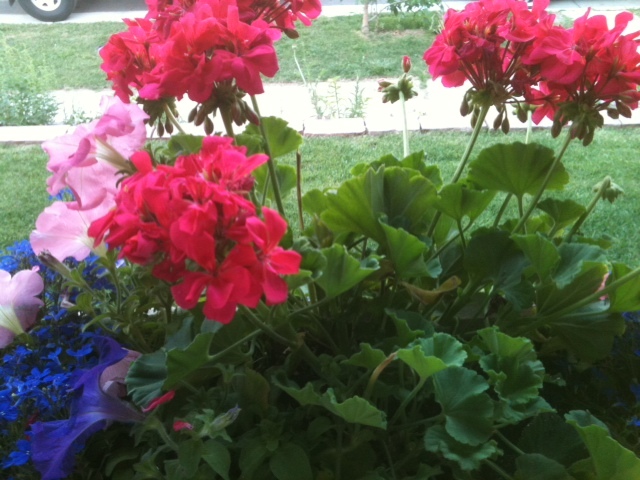 And then at Wild Rose Reader she has posted a poem she wrote for a music teacher that is retiring. Gathering Books shares "Trick of Light." I'm fascinated by the way they have superimposed the poem on top of an image. I want to know how to do that! At a Year of Literacy Coaching, Libby captures life with a toddler. This is also a great example of a list poem. Robyn Hood Black has a list poem written by first graders, then a couple of water haiku, all based on a photograph of the Salem Harbor. Speaking of April, Kate Coombs, who is moving out of state next week, shares a packing villanelle inspired by one of April's posts! Rebecca shares a snow poem that would be really fun to use with kids in a lesson on poetry as a new way of seeing the world. At Random Noodling, Diane shares her thoughts on Kenau Reeves' current writing project. Irene Latham recently attended a writing workshop given by Rebecca Kai Dotlich. Today she offers a few tips from that workshop. Janet reviews ELLINGTON WAS NOT A STREET by Ntozake Shange and illustrated by one of my all time favorites- Kadir Nelson. 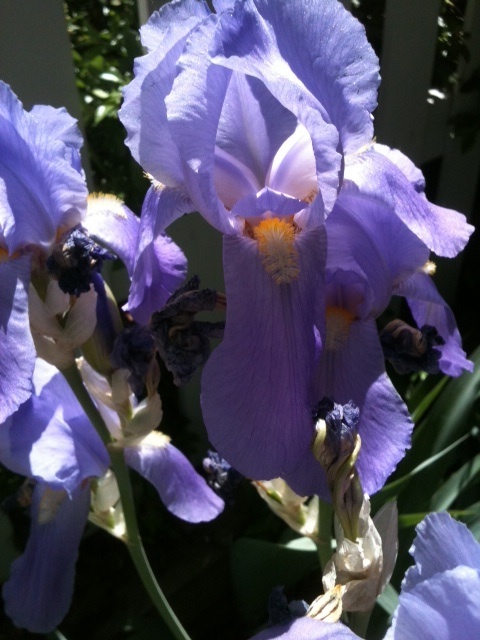 Kate shares two poems from Mary Ann Hoberman's YOU READ TO ME, I'LL READ TO YOU. I'm going to be in my own classroom for the first time in several years. I'll definitely going to build these two poems into the poetry we share in the first couple of weeks! Thanks for the reminder, Kate! Think that's all for this week. If I forgot anyone, it was purely accidental. Shoot me an email and I will correct my mistake. I'm so glad to have you visit! and found the perfect one by Mary Oliver. and I will round them up several times throughout the day. Mike is a fourteen year old boy, being raised by (or maybe raising?) his absent-minded, math professor father. When the professor is invited to teach in Romania for a summer, he sends Mike to live with a great aunt and uncle, who he has never met. His father believes that his math-hating son will be helping to build an artesian screw, which will help Mike, who has math learning disabilities, to get into a math magnet high school. When Mike arrives in the town of DoOver, he finds a very different situation. His great uncle, Poppy, is completely overcome by grief over the death of an adult son, and sits in a chair all the time. His great aunt Moo has macular degeneration, but still drives (scarily). These two, along with Gladys, a heavily pierced and tattooed bank worker, and Past, a homeless man who has his "office" in the park, have teamed up to raise $40,000 to bring a little boy, Misha, from Romania to be adopted by Karen, the town minister. 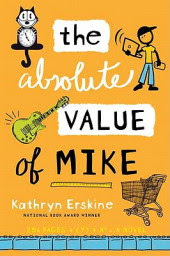 When Karen's father has a stroke, she is called away and Mike is put in charge of the town's fund raising efforts. 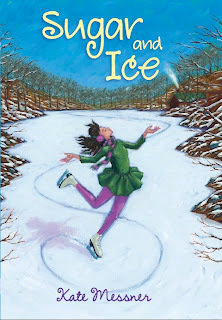 Read Mary Lee's review at Year of Reading. If I had to describe this book in a few words, I'd say Captain Underpants heads to outer space with sixth grade main characters. Or maybe Wimpy Kid goes sci- fi. Maybe the genre could be described as slapstick sci-fi. At any rate, this debut novel by Nathan Bransford, is really funny. Jacob Wonderbar (substitute teacher slayer extraordinaire) and his two closest friends, Dexter and Sarah, are in the woods one day when a strange silver man approaches and offers to trade his spaceship for a corn dog. It's not long before Jacob, Dexter (who is much less adventurous), and Sarah are headed for outer space. They are having a great time until they encounter a large, unknown planet directly in their path. Left with few options, Jacob decides to blast it with a missile, and then, well, as the back cover of the book says, "Space travel is all fun and games until someone breaks the universe." There's a lot to like about this book. It's funny and fast-paced. Jacob is African American. His friend Sarah is a a strong female character, more than capable of holding her own with the fellas. There's a small strand of serious-- the friendship among the three kids, and also Jacob's relationship with his dad, who in not in the picture. According to the blurb in the front of the book- this is the first in a series. Can't wait to see number two! Thinking of my dad this week. Wishing my boys had a dad. and filled that role in their lives. at Jayne Jaudon Ferrer's YOUR DAILY POEM. 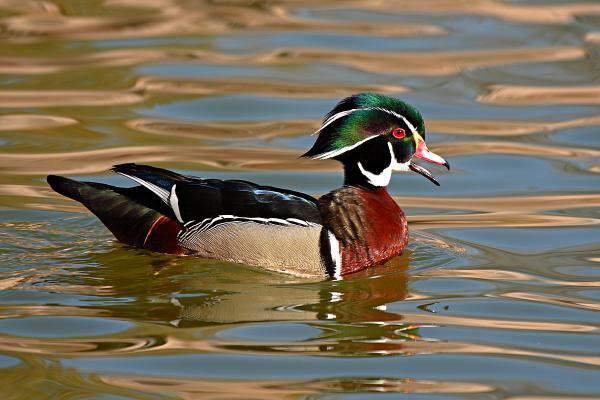 Poetry Friday is at Jone's Check It Out! P.S. I don't know how to embed You Tube videos (just tried to figure it out but it didn't work), but on his blog this morning, my pastor shared a poem by actor and poem Daniel Beatty. It's a poem for fatherless boys (it's not religious so you won't be offended if you don't like that kind of stuff). Please just cut and paste this link to see it. Warning: Have tissues ready! 2) MILO: STICKY NOTES AND BRAIN FREEZE by Alan Silberberg- I grabbed this when I was at the library getting MARTY MCGUIRE. Thumbing through the inside, I expected it to be a DIARY OF A WIMPY KID book. It is about a kind of geeky middle school boy, and parts of it are pretty funny, but the resemblance ends there. Milo's mother has died, and he, his father, and his older sister are all trying to dig their way out of a canyon of grief… beautiful story, have tissues ready! FORTUNE COOKIES by Albert Bitterman, illustrated by Chris Raschka- a little girl gets a box of seven fortune cookies from her uncle. Every day, she opens a new cookie, and reads the fortune (done on pullout tabs that seem just like real fortunes). 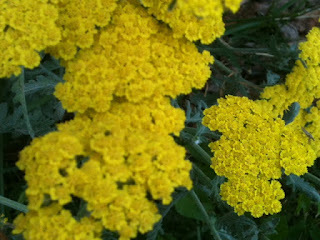 Each day, the fortune has something to do with what goes on that day, e.g. the first day, "Lose something you don't need." and the little girl loses her tooth; the second day is "money is like the wind" and she buys a kite. Kind of a "fortunately, unfortunately" book- I think kids would love it. THE SECRET BOX- Wordless picture book- a child hides a box of treasures in the attic of a boarding school or orphanage. Years later, some children find the box and follow some clues from the contents of the box. FOREVER FRIENDS by Carin Berger- gentle book about a friendship between a bunny and a bird, who find all kinds of things to do together. When winter comes, the bird migrates, and the bunny waits for spring and the return of her friend. 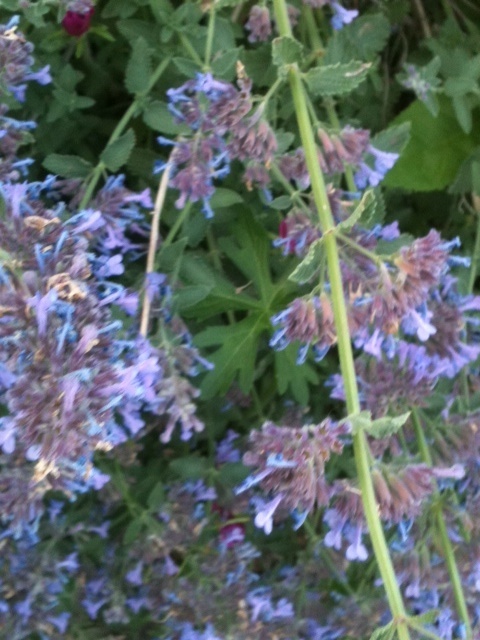 Interesting patterns, e.g. notebook paper, in the collage illustrationsThis would be a good book to compare to CITY DOG, COUNTRY FROG. ALFRED ZECTOR, BOOK COLLECTOR by Kelli Dipucchio. Hector is a little boy who loves books and wants to own more and more. Soon, he owns all of the books in his town. Hector reads and reads and reads, until one day, after many years, he realizes that he is the only person who owns any books, and he gives most of his collection away. Rhyming. BOOM BOOM GO AWAY by Laura Geiringer A little boy is playing in his room when his mother tells him to go to bed. He and his toy friends aren't quite ready, however, and tell the mom to go away. Each two page spread features a different toy playing a musical instrument, complete with its own sound effects. Little kids are going to love the rhym-y sing song feel and all of the noises. I can imagine myself giving this as a gift to my toddler friends. LOUISE THE BIG CHEESE AND THE LA-DI-DA SHOES by Elise Primavera, Louise wants new shoes. She is dreaming of black patent leather shoes, but her mother buys brown lace shoes with soles that squeak when she walks. A few days later, Louise's friend Fern shows up at school with la-di-da black patent leather shoes, and an attitude to match. Louise is kind of a cross between Fancy Nancy and Lily of purple plastic purse fame. I didn't know this series, but I'm definitely going to look for some of the other ones. HOGWASH- Karma Wilson. It's spring and a determined farmer heads to the barn to wash his animals. The pigs refuse to be washed and a hilarious sequence of events ensues, complete with a note exchange, pigs in umbrellas and slickers, and a dive bombing plane. A funny book that kind of reminded me of the CLICK, CLACK MOO series. LET THE WHOLE EARTH SING- Tomie de Paola- I loved this book, just like I loved Ashley Bryant's, ALL CREATURES GREAT AND SMALL, earlier this year. I think I would be more inclined to give it to friends as gifts, however, than to put it in my classroom library. COOKIEBOT: A HARRY AND HORSIE ADVENTURE- Katie Van Camp. Harry and his friend Horsie want cookies, but mom has put them on a high shelf. The two friends build a Cookiebot that is able to grab the cookie jar, but then goes berserk, tracking all over the city in search of more cookies…Scientific looking drawings that I know kids are going to love. I am in the middle of a huge two week curriculum writing project. To make a little extra money. So my boys can have new football cleats. And have their helmets reconditioned so their brains don't rattle around any more than absolutely necessary when they encounter 3oo pound lineman. It's worth $59 a kid to save their brains, right? The extra money will also help with football camps so they can get scholarships so I won't have to pay for all of college, in the event that someone decides they want to go. And maybe we can even eat during football season. So yesterday, between writing lessons, and after I took the football helmets to the shop ($118) I had the air conditioning guy out. For a yearly preventive maintenance call. I pay an annual fee. So the visit was supposed to be free. And it cost me $340. For a new capacitator. And then I had an electrician out. Because I thought something was wrong with the electricity in the kitchen because the microwave breaker flips off every time you try to use the microwave. It only cost $210 to find out nothing is wrong with the electricity. Something was wrong with my microwave. Which is only ten months old. And so I had to buy a new microwave. Because my teenagers are absolutely sure that life cannot go on without frozen burritos and pizza rolls at midnight. And the microwave doesn't quite fit and I need to figure out a way to raise it up so the door will open when the front is on the cupboard. And then my printer, which I really need for my writing project, died last night. And it cost $112 to replace it. I need to marry or at least date a handyman. Or take a class. So I can fix stuff. And so for today's poem, I bring you "The Hammer." This is actually the end of the poem. For years, I have dreamed of writing a novel. I even have a plot, kind of, in my head. Every summer, I say, "This is the year I'm going to do it." But, like most people who dream of writing novels, I never quite get around to actually sitting down and writing. I've followed with fascination and huge admiration, then, the writing career of Kate Messner. I first became aware of Kate through her writings on Twitter. Kate is a middle school teacher in New York. And she is a working mom. But somehow, she also manages to write. Looking at her website, it looks like she has published two novels, with two more on the way. 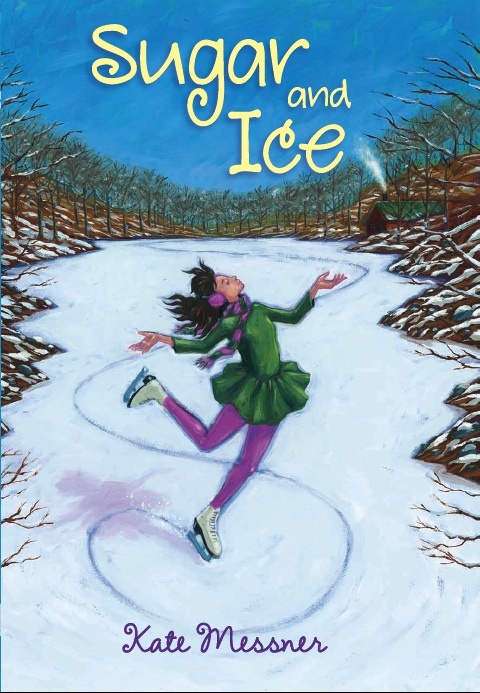 The first book in her new series, MARTY MCGUIRE, came out to rave reviews this spring. She has a new professional book, REAL REVISIONS, that has also gotten really good reviews. Messner has a couple of more books set on Lake Champlain, where she lives. And she has a couple of picture books coming out. Oh, and she is a poet. (One of her recent poems, "The Book in My Head," was about people like me, who never actually get to the writing). A great read for the intermediate grade and middle school athletes in your life! I watched Twitter in fascination this weekend, as everyone's 48 hour reading challenge tweets rolled in. This weekend I helped at a football camp, and drove to Colorado Springs to see my mom, and went to a friend's birthday barbecue. I did, however, manage to squeeze in a couple of "nontraditional" novels. 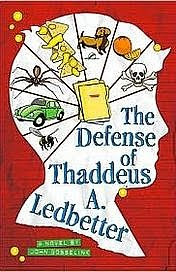 THE DEFENSE OF THADDEUS LEDBETTER by John Gosselink is told entirely through a series of artifacts- letters, emails, detention slips, diagrams, cartoons. At the beginning of the book, it's January, and Thaddeus has been sentenced to in-school suspension for the rest of the year. It seems he's staged the all time largest, most comprehensive emergency drill, which involves being prepared not only for tornadoes, but also killer bees and old people driving down the school halls in cars. Thaddeus is a quirky guy- brilliant, passionate about words, the creator of unique clubs, and with a helpful plan/suggestion for every dilemma that confronts the school principal. Throughout the book, Thaddeus attempts to convince the principal, his teachers, and his Uncle Pete (who has somehow been pressed into the role of defense lawyer) why he should not be in a semester of in school suspension. 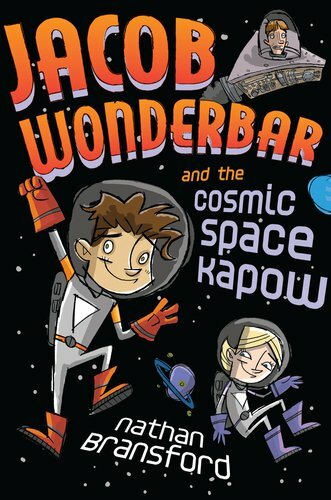 The book is clever and oh so funny, perfect for strong fifth grade readers or for the middle school set. 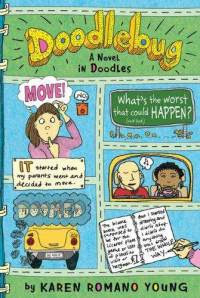 DOODLEBUG, by Karen Romano Young, is another book told in a very unique style. At the beginning of the book, Dodo Bussey, aka Doodlebug, and her family are in the car, moving from Los Angeles to San Francisco, because her father has taken a new job. Her parents give Dodo a journal, which she fills with doodles, sketches, cartoons, conversations, and lists, that chronicle her adjustment to her new school. This is another book perfect for fifth grade and/or middle schoolers. Toby Speed is hosting Poetry Friday at The Writer's Armchair. 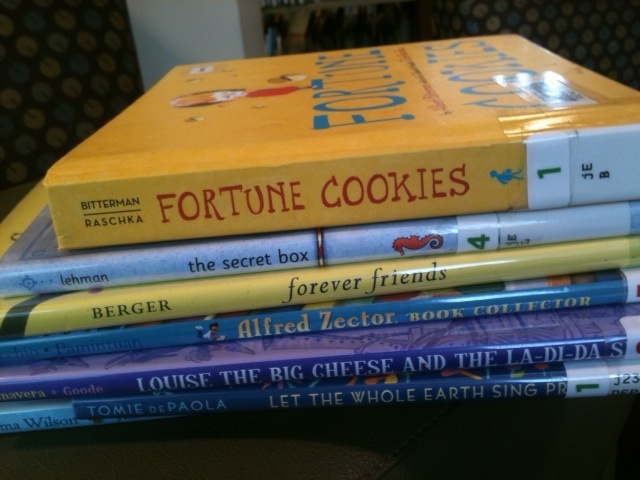 Yesterday, while the boys were at football, I headed across the street to Tattered Cover and found several books for my youngest reading friends. 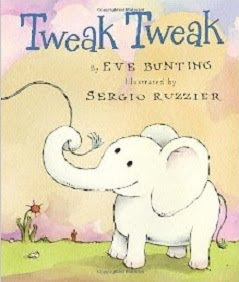 The first, TWEAK TWEAK, is by one of my all time favorite authors, Eve Bunting. Mama Elephant and Little Elephant are out for a stroll. Mama tells Little Elephant to tweak her tail if she wants something. It isn't long before Mama feels her baby elephant. "No, because you are not a frog. You are a little elephant. But you can stomp your foot and make a big sound." "Just like that, my little elephant." The story goes with a similar repetitive pattern, as Mama and Little Elephant encounter a variety of animals- a songbird, a frog, a crocodile, a butterfly, and a monkey. Illustrations by Sergio Ruzzier are sweet and fun and perfect for the text. This is one I can see reading aloud again and again and again. 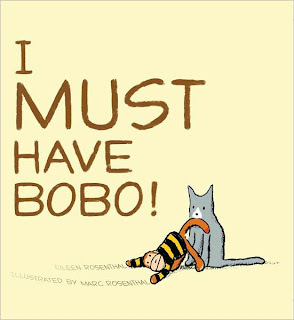 The second book, I MUST HAVE BOBO, by Eileen Rosenthal, made me laugh out loud. At the beginning of this book, a little boy named Willy wakes up one morning to find his beloved sock monkey, Bobo, has gone missing. Willy goes on a search, and finally finds Bobo with Earl, the family cat. It seems that Earl believes he must have Bobo too. A battle ensues, with Willy and Earl taking the monkey back and forth. Finally a compromise is reached. But is it really? Another one kids are going to want to read again and again. Many years ago, in a speech at CCIRA, Richard Allington said something that I have never forgotten. Allington suggested that we as teachers should imagine the weakest reader we knew walking into our classrooms. He asked us to think about what reading materials were available in our classrooms for that reader. The room was silent as people mentally scanned their classroom libraries, then Allington went even further. He asked us to think about which of those materials the reader would actually find appealing enough to WANT to read. I've returned to that question many times as I have worked in classrooms or supported kids as they learned to read. What texts are available for this child to read? Which texts will he/she want to read? This week, I received a new book from National Geographic Kids. Weird But True 3 is absolutely perfect for struggling readers. One of the world's fastest snakes, the black mamba, can slither up t0 7 miles per hour. Your stomach would digest itself without mucus. It takes 8 minutes and 19 seconds for light to travel from the sun to the Earth. A five seat bicycle is called a quindem. A company in India made a pair of underpants that are 58 feet wide- that's wider than three large SUV's. A British man ate 36 cockroaches in a minute. Rats can't burp. Also, birds don't sweat. And there are also plenty of facts that are just plain gross. Did you know, for instance, that a Scottish dish named haggis is cooked inside a sheep's stomach? This book would be perfect for any reader, but especially those kids that struggle. First, it's super interesting and engaging. Each fact is no more than one or two sentences. The book is arranged with anywhere from 1-5 facts, some with really nice photos, some with interesting fonts, on a page. I can picture kids reading and rereading, sharing it with friends, asking me questions, until it falls apart. Definitely one that belongs in every classroom library!